Minnesota Children’s Museum (MCM) has recently undergone their first major renovation since the museum’s 1995 opening. 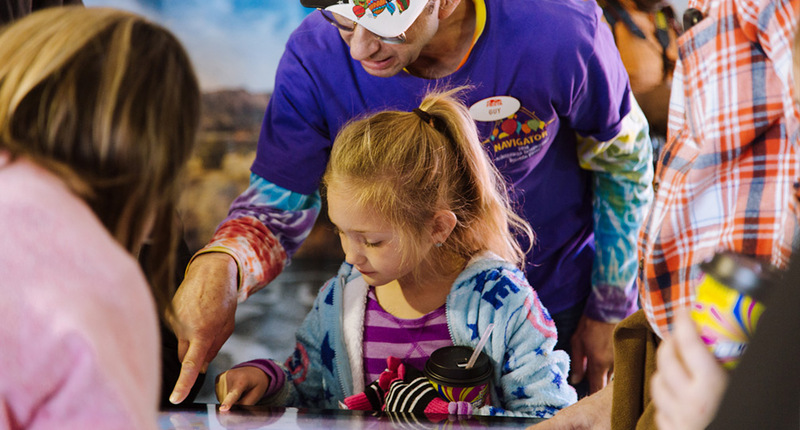 The museum added new galleries dedicated to helping children “to think creatively, make plans, analyze problems, tackle challenges, speak and listen, work as part of a team and more.” The all new Our World gallery recreates the places and activities vital to any community. Children play and explore a fire station, post office, farmers market, and much more. As they navigate this town-in-miniature, they also learn about how information is conveyed through signage. 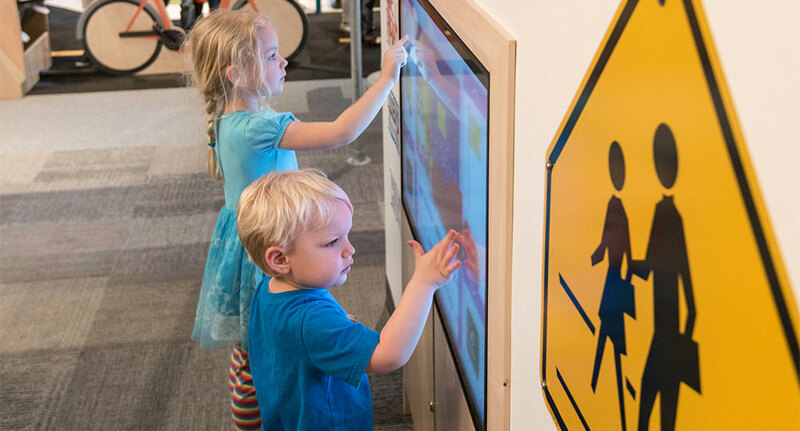 Ideum’s Sign Design exhibit is a bright and interactive addition to the space, providing young learners with the opportunity to create their own sign which is then prominently displayed in the space. Children learn about how shapes, colors, symbols, and patterns can communicate a message wordlessly. They can add common phrases and prompts to their signs. Once complete, the final sign is sent to other displays in the gallery space for everyone to enjoy. The interactive experience takes place on an Ideum 43” multitouch display embedded in custom cabinetry in the gallery. Ideum designed the application and developed the software, which included the sign authoring application itself and a companion app to display the designs on additional displays throughout the gallery space. 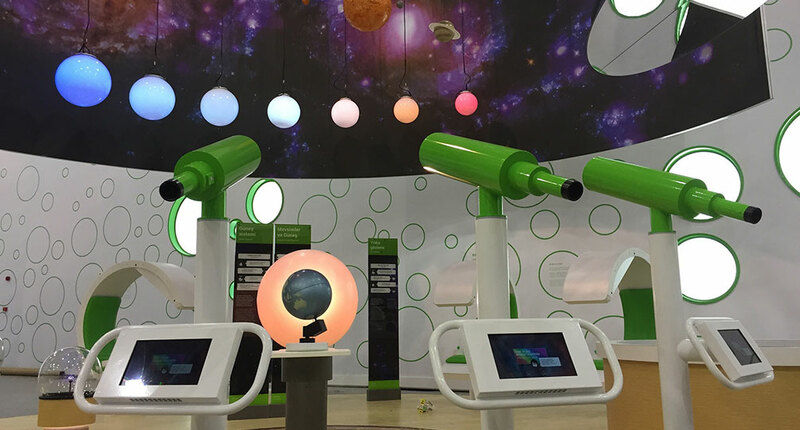 In addition to collaborating with the team at Minnesota Children’s Museum, Ideum had the pleasure of working with Jesse Heinzen of Heinzen Media. His work as project director and system designer in close collaboration with MCM helped ensure the seamless integration and deployment of Sign Design within the Our World gallery. Young visitors collaborate on a new sign creation. 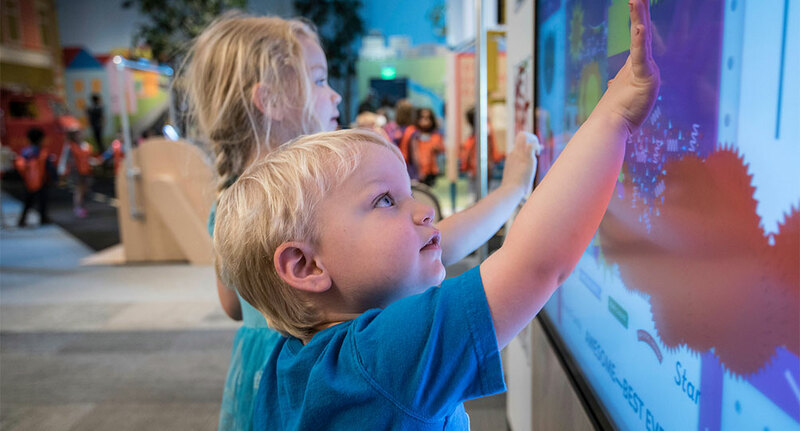 The Our World gallery is an engaging space for kids and parents. 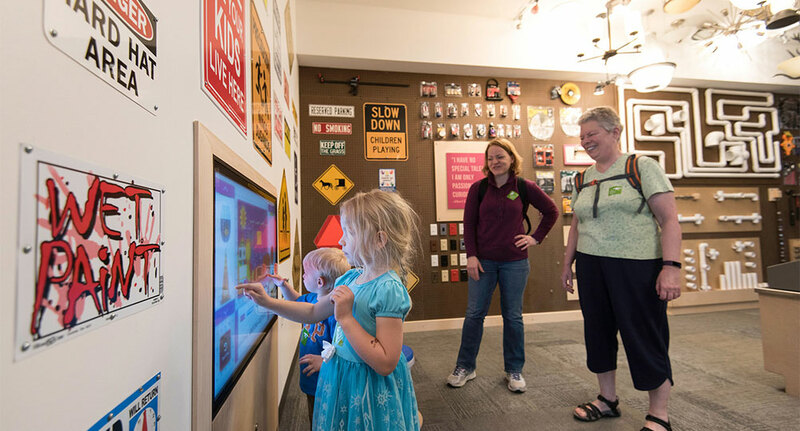 Children are encouraged to be creative with the Sign Design exhibit.